Hair plantation or hair fall treatment is striding impressive heights and new advancements are making way through. With new technologies, new researches on hair growth and with much more, there are various options to avail. Starting from robotics in hair transplantation, to innovative hair growth ventures, there is more to offer in the coming years. With ARTAS Robotics, the future is different. This is a cutting-edge, doctor-assisted robotic technology, where the surgeons have a customized and innovative team to develop specific and expected results with technology that is far better than any other hair plantation method in the market, today. With ARTAS, there is no tiresome methods, lowered human error, and with better algorithms can carry out unique procedure based on patient’s requirements. And the perfectness that a robot can offer, there would be a minimal pain, fast recovery, and unnoticeable scarring. With the inbuilt AI technology, the robot can identify, select and take the best follicles from the donor area. With constant improvement, the procedure is getting more innovative. This year, the International Society of Hair Restoration Surgery (ISHRS) announced that the FUE procedure would be known as Follicular Unit Excision with essential changes after staying in the market for more than 30 years. After its introduction in 1988, FUE made significant development in offering natural results with very fewer side effects and shorter time for recovery. The change in name is in accordance to the progress yet made, and it has become an entirely new process than what was prevalent earlier. Naming the method as an excision instead of an extraction is the best and a transparent way to tell about the procedure to the patients. FUE is a safe process but an invasive surgery where several incisions are made and hair follicles are manually removed from the donor area, and then inserted into the recipient area. Hair cloning is a new area though, practice is not much wider. Though success stories are yet to be published, HairClone, an England based biotech company based is carrying out clinical trials and experimental studies. The process is nearer to regenerative cell therapy where 50 donor hair follicles are taken using FUE, isolate main cellular components, replicate into about 1,500 cells, and inject them into patient’s scalp once the technology is ready. Another attribute is that hair follicles can be cryogenically frozen and store, unless required. This would confirm, that if a person gets again bald the with this technology can get hair restored. Hair transplant has been prevalent but nowadays, eyebrow and face hair transplants are increasing and gaining popularity. Hair transplant experts are trying to offer the best and natural appearance and with very fewer side effects. As its becoming trending, fuller beard and thicker eyebrows, more people are considering natural and permanent ways to have their dreams come true. 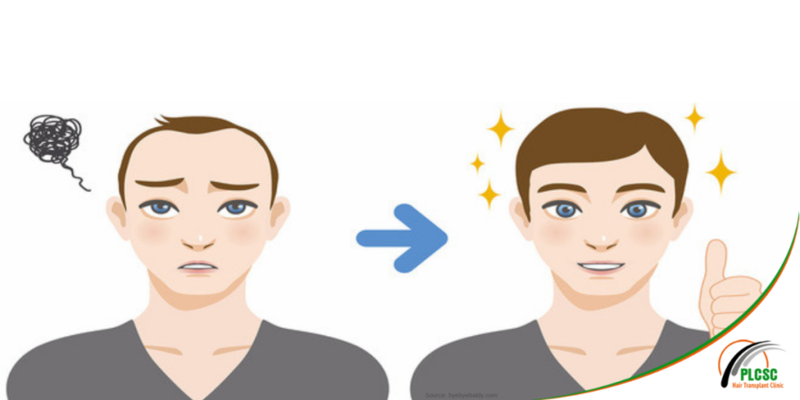 Eyebrow and beard transplant methods are done with either FUT or the FUE procedures to replace patchy spots, thinning areas or baldness with real hair from the donor site of the scalp. It’s wise to consult reputed doctors and visit popular clinics, to materialize your dreams. If you are looking for hair transplant in Siliguri, you are on the right page. With time there is a growing demand for hair plantation in Kolkata as more people who are facing hair fall and issues. Cost of hair transplantation in Siliguri is very reasonable. For more information on the same, call us or Email us.